The Beetle is expected to be discontinued in the near future and it may be the final end of the nameplate that has become the highest selling car in the history of the automotive industry. While we can certainly admire these cars turned into dune buggies, it should not come back as a crossover SUV and certainly wouldn’t do VW any favors by being offered in the body we know as one. Ram is the offshoot of the Dodge brand which used to have the name Dodge Ram trucks as what it offered. The Ram name is what we associate with big, powerful, tough-looking trucks that are ready to get work done. A small crossover SUV is one that wouldn’t actually seem to make any sense from this brand that we expect to have some tough and rugged power from when we drive. Can you imagine a Lotus model that’s considered a crossover SUV? While we wouldn’t have thought Lamborghini would have been successful bringing us a crossover SUV, at least they’ve done it before. Lotus hasn’t done this in the past and the fact they continue to work toward lighter and faster sports cars shows up they have no real interest in creating an SUV out of the cars. The Celica nameplate is one that has been gone for a long time and it doesn’t make sense to bring it back as a crossover SUV. This name could come back as a sporty sedan or it could be something that has another purpose, but it wouldn’t be good as a crossover. If the Celica comes back to the market to take on the likes of the Nissan Maxima, this could be the right way to see this car again. We’ve wanted to see a new S2000 offered from Honda for many years, but this vehicle wouldn’t make any sense at all as a crossover SUV. 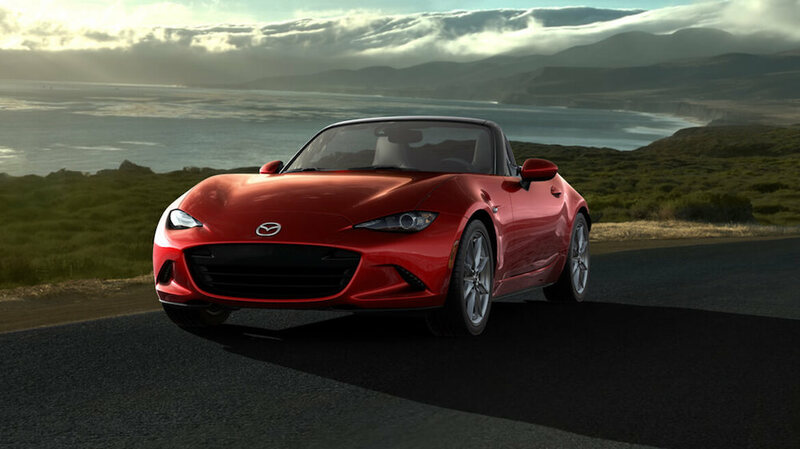 This name is expected to be a small, active roadster that can offer you the drive and the fun you want to enjoy when you get out on the road. Let’s see it come back as the roadster we love, not as an SUV we’re sure to hate. We already know that Nissan is considering making their next Z-car one that’s a compact crossover that we can drive when they offered the Gripz Concept back in 2015. This car is certainly cool and it could work, but it will be the death of the sports car that we’ve come to know as the Z-car from Nissan. Maybe the Gripz works, but hopefully, we’ll also have a Z-car to enjoy. Maybe this car shouldn’t be on this list at all, but it is so let’s think about it. The Miata is a car that’s built for fun and to tear up the roads when you toss it in and out of the curves. It’s not powered by a massive engine, and it certainly shouldn’t be lifted up off the ground at all. Let this be a car that continues to be one of the most impressive roadsters we love and never a crossover SUV. This little hatchback has been one that’s been a lot of fun for the drive, but the size of the car is perfect for the powertrain and is perfect for the fun we want to enjoy when we head out on the road. The GTI shouldn’t make its way up to the Tiguan either and it should continue to be a huge part of the Golf lineup. Of course, if you want a Golf that’s bigger, there are some on the market. There’s no way this car should ever become a crossover SUV, but Chevrolet has shown us what this car might look like when it’s time to head out on the road when they took the FNR-X concept on the stage. It didn’t have much in common with the Camaro for the drive, but it could be a performance model if it becomes a crossover, just don’t tell us it’s a Camaro model. Besides, it would make more sense to create a crossover adaptation of the Chevy Cruze, or perhaps the Malibu model, instead of the powerhouse Camaro.